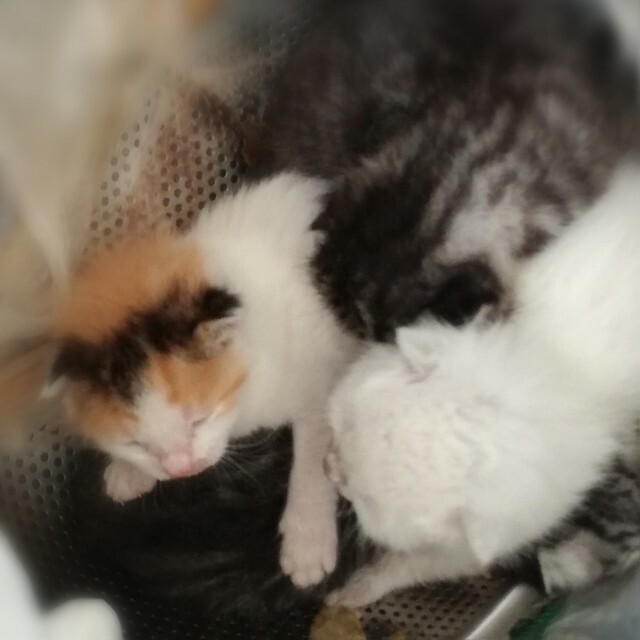 A stray cat gave a birth of three babies at the kitchen door of my parents' house. The mother cat was very cute and had beautiful hair. She is my favorite type. This is the picture of three kittens. One of them was a calico cat. It is said that calico cats are usually female. 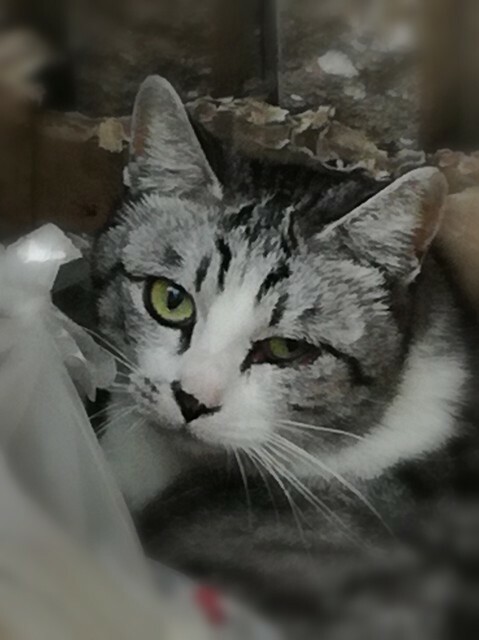 A male calico cat barely appears. There is only one male calico cat among thirty-thousand female cats.